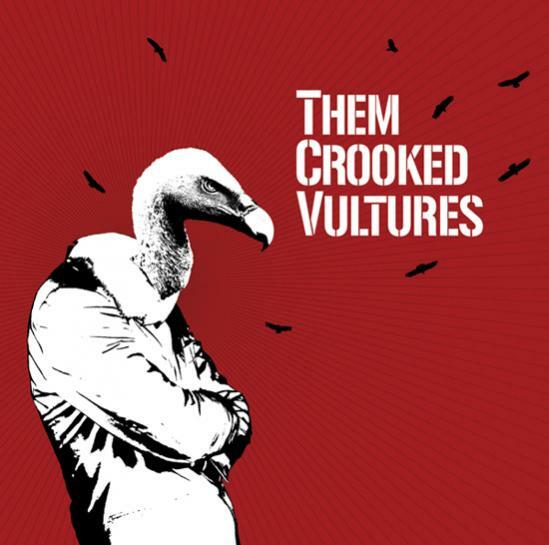 The ever-distinct brand of Josh Homme continues to shine even under his latest endeavor, Them Crooked Vultures. As excited as I was to hear "New Fang" when it went public, this live performance of "Nobody Loves Me & Neither Do I" injects me with rock n' roll glee: wild rhythmic change-ups and guitar riffs that sneer and flaunt their cleverness and vitality like a stiff middle-finger to FM radio. John Paul Jones is almost in Zeppelin rebellion, having to begin again since rock radio killed "Stairway," and having a great time doing it. I'm even ready to forgive Dave Grohl for the The Foo Fighters after hearing this one. Yeah, I can't wait to pick it up. I'm very excited.